This course has places available. You can apply for this course via the ‘How to apply’ section on this page. For a full list of UAL courses open for 2018/19 entry, visit the Clearing page. A strong industry focus, including recent live projects with the Future Research Lab Milan, Future City, Guy's and St. Thomas' hospitals. Haven't found the information you're looking for? Want to ask us a question about this course? Discover our printing techniques, from Lithographic Printing to Print Finishing and Bookbinding. ‘Design Disasters’, a collaboration between two students Sine Ringgaard and Netta Peltola. BA (Hons) Graphic & Media Design, 2013. 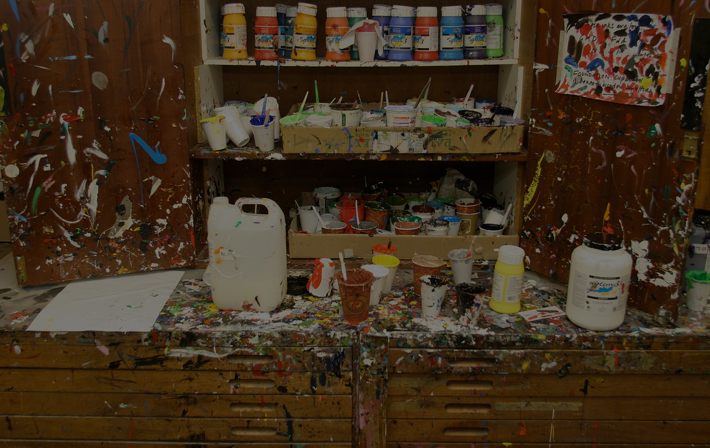 This workshop offers a wide-range of expertise in everything from etching to lithography. The Global Supply Chain and Distribution unit explores vertical integration, alternative supply chain strategies, their impact on critical paths and delivery to market, as well as alternatives distribution routes, their costs and benefits and the emergence of e-retailing, ethical issues and sustainability. The development of multiple new routes to market such as the emergence of e-retailing has created new levels of complexity in supply chain management that require the simultaneous application of analytical thinking and the delivery of creative solutions. The unit therefore is fundamentally concerned with flow of product covering on the one hand sourcing and on the other delivery of product to customers, enabling you to evaluate business problems and opportunities arising from buying and merchandising activity across the fashion retailing sector. Organisations and brands frequently need to be refreshed and repositioned as the global competitive environment changes around them. The Socio-cultural, Organisational and Economic Context of Fashion unit aims to analyse the various contexts in which fashion product and services are produced, marketed, distributed and consumed. These contexts influence decisions, strategies and procedures within the business and thus demonstrate the importance of contextual environmental factors on the business itself, as well as explore the definition of fashion as a socio-cultural phenomenon. Considering these as a whole the unit will provide tools and perspectives available to organize analysis, identify strategic challenges and begin designing an organisational response. Even though internationalisation is now considered an unarguable characteristic of the fashion industry, cultural and legal diversities that exist at country level can have significant repercussions on actual performance, whilst advances in technology have the power to cause dramatic shifts affecting the fashion industry at a global level. The unit will engage with these issues through the use of case studies and input from key speakers and you will be encouraged to apply your understanding of these issues to business problems. The Universities and Colleges Admissions Service (UCAS) application deadline is 15 January. Following your UCAS application to this course all home / EU applicants will be invited to choose a date for a selection event. What is a selection event? A selection event is similar to an interview. You will be expected to bring your portfolio, which will be reviewed by course teams. The event will also give you a chance to meet current students, take a tour of the college and see the facilities. More details about your selection event will be emailed to you once you have chosen your selection event date. Find out more information about applying through UCAS. We select students based on the quality of their applications, looking primarily at their portfolio of work, personal statements and reference. We will also consider other evidence of prior learning and experience via Accreditation of Prior (Experiential) Learning - AP(E)L and / or alternative qualifications assessed as offering the same level as the above requirements. Learn more about UAL our Language Development for Oversea students and see how we can help you in your studies. Many graduates prefer to seek employment as soon as they have completed their undergraduate studies. Recent graduates from this course have found employment with the National Theatre costume props department, with Madame Tussauds and the Tussaud’s studio, and on many film productions, including the Harry Potter films, Hellboy and Hellboy II, Batman Begins, Charlie and the Chocolate Factory, Fantastic Mr Fox, Corps Bride, the new Tim Burton film Dark Shadows and the latest Ridley Scott Alien film. Graduates have also worked with the artists Ron Mueck and Damien Hirst and the fashion designer Hussein Chalayan. Some graduates from 2013 have been selected as finalists for the annual competition, World of Wearable Art, that takes place in New Zealand. The London College of Fashion and the Performance courses have been selected by the organiser as a chosen UK link to the competition.